Rabat – Besides Morocco’s traditional colorful djellabas and beautiful kaftans, another piece of clothing caught my eye as incredibly popular among men in Rabat’s medina (old city): pirated football shirts, many pirated football shirts. Even more uniform than the ubiquity of young Moroccans wearing football shirts is that they all seem to have the same, black-and-white striped one: the shirt of Juventus F.C., the team that has been dominating the Italian championship for the last 7 years. Once I saw the back of their shirts though, I realized they told a completely different story. Not one Juventus shirt I saw had Mehdi Benatia’s name; they were all consecrated to the international football hero, the player of the moment, among the most acclaimed, envied, and idolized public figures of all time: Cristiano Ronaldo. A five-time Ballon d’Or winner, Ronaldo joined Juventus on July 10 in a €100 Million deal between the Turin club and Real Madrid. Looking at Ronaldo’s numbers with the Portuguese national team and the clubs he has played for—Sporting Lisboa, Manchester United, and Real Madrid—and his individual achievements, it is self-evident that Cristiano has already earned himself a place in the Olympus of the best footballers of all time, along with Messi, Pelè, and Maradona. 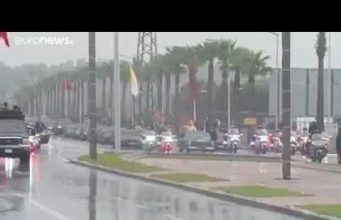 Ronaldo’s stature would probably be enough to justify his fame in Morocco, just like in any other country that has a strong football culture. 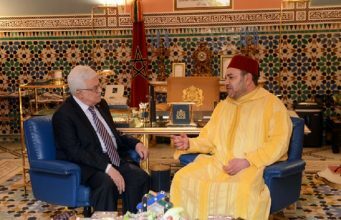 However, the Portuguese legend appears to have a very special relationship with the North African country, which goes beyond his general international popularity. 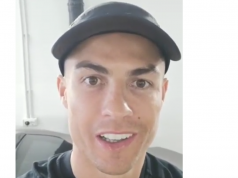 CR7, as Ronaldo is called in reference to his initials and shirt number, is known to be a loyal visitor of Marrakech, which he once described as “The City of Joy.” He chose the red city as his destination to celebrate New Year’s Eve 2017, which he spent with Moroccan kickboxer Badr Hari and his former teammate Karim Benzema. The reasons behind Ronaldo’s popularity, however, have definitely reached far beyond the football pitch and the humanitarian causes. Like other sport personalities such as LeBron James, David Beckham, and Michael Jordan, Cristiano’s figure has achieved the final stage of success in today’s Western pop culture: becoming a brand. Cristiano Ronaldo is actually a brand himself. He owns two eponymous businesses: the underwear brand CR7 and the aftershave and cologne line Cristiano Ronaldo Fragrances. 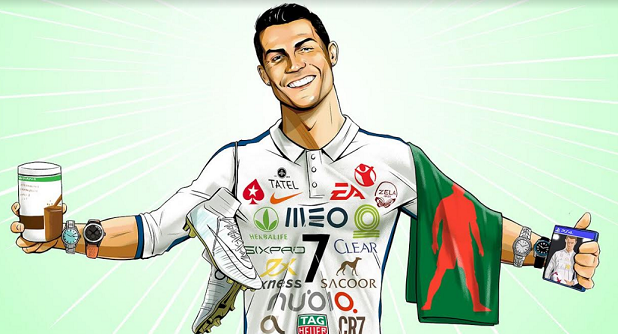 In Morocco, Cristiano has invested in the luxury hospitality industry. According to Medias24, Juventus’ Number 7 has already signed a deal to open a new hotel in Marrakech. 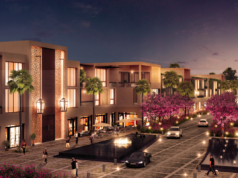 The project, scheduled to launch in 2019, is the product of an already existing partnership between the CR7 trademark and the Portuguese hotel group Pestana, the largest hotel chain in Portugal. 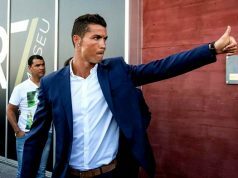 The hotel, which will be called “Pestana CR7 Lifestyle,” would be part of an international chain with branches in Spain, Portugal, and the US. As Medias24 has underlined, the hotel’s services are clearly planned to target millennials, arguably the best audience for the Ronaldo brand. Viewing Ronaldo’s popularity in Morocco from a business perspective, his figure begins to assume a different connotation: he is much more than a remarkable sportsman. The new exciting commodity called Cristiano is a synonym of Nike, Armani, FIFA, and skin fade haircuts—in other words, the current Euro-American West. CR7 is a powerful concentrate of all the Western trends which are fashionable among Moroccan men of the younger generations—powerful enough to overshadow his new teammate Benatia, captain of the Moroccan national team, in his own country. The story the Juve pirated shirts tell, then, might be much deeper than that of a popular sports icon. 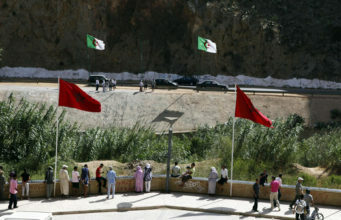 It might be a story of the appeal of Western consumeristic culture over Moroccan national pride. Or it might just not be. At the end of the day, although CR7 is a symbol of Western pop culture, it would probably be an exaggeration to say that Mehdi Benatia is considered a “national hero” in Morocco. Ramzi’s profile of Benatia suggested that Moroccans’ moderate enthusiasm for the captain of their national team might also have to do with the fact that he is a defender, not a striker. He does not have that heroic starring role which, for instance, Mo Salah covers in Egypt. 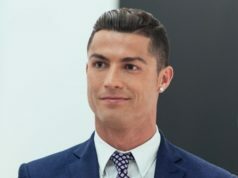 But even if he did, I am not sure whether he would be able to compete with Ronaldo in popularity, due to the central role which CR7 has in Western culture, and, in turn, to the influence which the latter seems to have on the concept of fashion in Rabat. 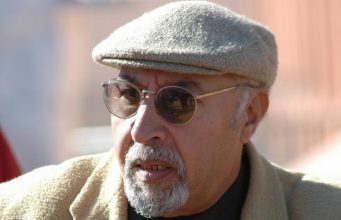 Like other North African peoples, Moroccans are particularly fond of European football leagues in general. In the early 2000s, Italian teams, such as Milan, Inter, and Juventus, were the most followed in the kingdom. But the economic crisis which hit Italy’s Serie A championship after the corruption scandals of 2006 disfavored the Italian teams and propelled the Spanish teams to favorite status. 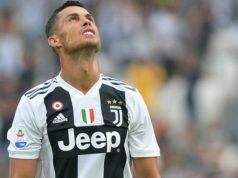 Nevertheless, despite the supremacy of La Liga, Italians still hope that the arrival of CR7 at Juventus could be a chance for the Serie A to regain the international acclaim it once had abroad. 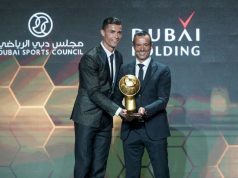 Although appreciation for Cristiano Ronaldo has always been independent of the teams he has played for, his new experience with Juventus might help restore the reputation of Italian football in Morocco, after a decade-long dominion of Real Madrid and Barcelona.